Pakistan Tehreek-e-Insaf (PTI) is the fastest emerging political party of Pakistan. A political party which working on a mission to make our country Pakistan better. PTI enjoys unprecedented support of youth. It is encouraging to know that PTI has highest number of educated people on board. Not only they are highly qualified but they have proved themselves in their respective fields. These young candidates of Pakistan Tehreek-e-Insaf did not get the deserved attention as everyone was focused on the tickets awarded to electables by PTI. An example of this lack of attention is Dr Imran Ali Shah, a person who made a contribution towards his country Pakistan even before he joined the Pakistan Tehreek - e- Insaf. Dr. Imran Ali Shah is the son of famous Orthopedic Surgeon Syed Muhammad Ali Shah who have established a hospital by the name of A.O Clinic, Institute of Trauma and Orthopedics. Dr. Muhammad Ali Shah was a member of Mutaihada Qaumi Movement and became sports minister of Sindh in 2008. In the current care taker government of Sindh, Dr. Junaid Ali Shah, elder brother of Imran Ali Shah is serving as a sports Minister. 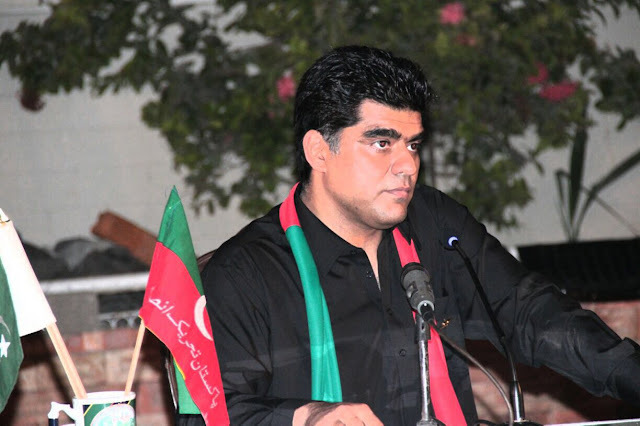 Imran Ali Shah is is keen to play his role for the betterment of his constituency and for his country Pakistan. This is high time that public come forward to support such educated people for the betterment of the society and country.